On July 26, 1866 Tennessee became the first state that had seceded, to reenter the Union. On June 22, 1868 Arkansas became the second state to be readmitted. In July of 1870 Georgia became the last state to rejoin the Union. The Congress had established key preconditions for states to be readmitted into the Union- the elimination of slavery and the adoption of the 14th amendment. Tennessee had been the last state to leave the Union and it was the first to rejoin it. 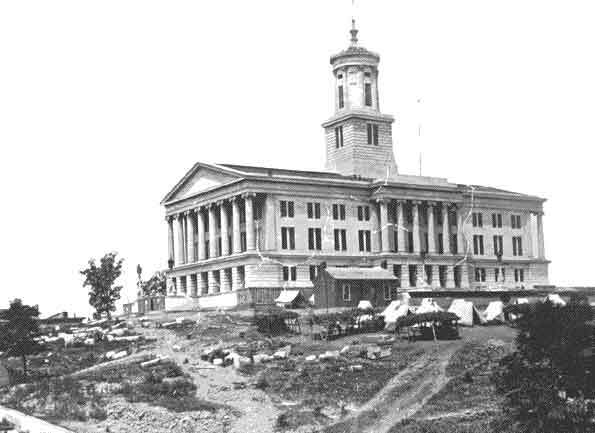 The state legislature quickly met the preconditions for rejoining the Union and on July 24th 1866 Tennessee rejoined the Union. It would be another two years until Arkansas became the second to join.